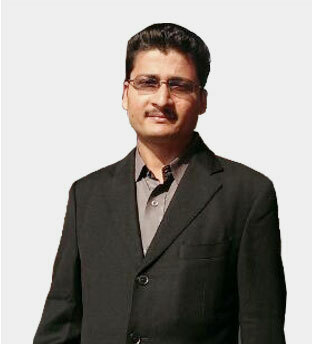 Currently he holds the position of Co-Founder and CEO of his Own Software Development Company "Samyak Software & Esamyak Software Pvt Ltd, Mumbai www.esamyak.com "
With his successful endeavours in Diamond & Jewellery Industry for Indian and Japanese Firms, he has proved to be quintessential in his skill set. Along with a sound knowledge of Book Keeping, Accounting and Finance, he provides the necessary input for sturdy growth. He is responsible for the Marketing section as well as Quality Control section for maintaining standardised company protocols. 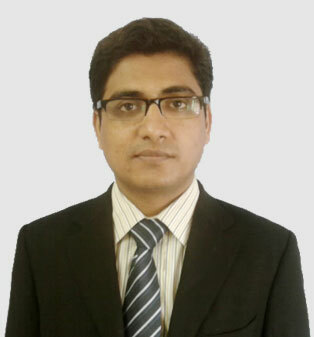 Mr Chanchal has a keen interest in networking and public relations which provides necessary input for business. He is learning Japanese for his regular travels to Japan, his client support and business development skills have increased exponentially. He is simultaneously efficient in Hindi, English, Marathi, Guajarati and Marwari. Being a University Chess champion, enjoys the likes of a chessboard and a good opponent. With an inherent ability to look ahead into the future and spot lucrative trends has enabled Shitalkumar into successfully becoming a serial entrepreneur. Accomplishing several feats, he has numerous certifications under his belt. He has proved himself innumerably. He heads the technical operations and supervises the HR and finance departments as well. His skills and in-depth domain knowledge of Gems & Jewellery industry with experience of executing several projects efficiently, work becomes a constant surprise. Moreover, on the international front he has successfully achieved his goals in Hong Kong and Japan. In his leisure time, he enjoys the company of a book and tea. Jamnalal Bajaj Institute of Management Studies MMS, International Marketing. Activities and Societies: Manufacturing of specialty chemicals, pharmaceutical raw materials and ingredients, Finished formulations, Visiting Faculty for International Marketing to Business Schools and Chambers of Commerce. Birla Institute of Technology and Science Bachelor's degree, Mechanical Engineering. He has specialized in the area of International Marketing and Sales as well as Global Business Expansion, over the past thirty years. He has built his own international business across more than 48 countries as a first generation entrepreneur. This experience taught him few invaluable lessons in the areas of International Marketing and Sales, Study of International Business Environment and Cultures, Important issues in Cross-Cultural Selling and Global Business Creation. He has continued to learn from the Global Business Leaders, many of whom are also his customers today. He is also a Coach and Mentor for Family Businesses/ SMEs/ MSMEs/ New Start-Ups desirous of expanding their business operations globally. Chhaya Sehgal is a first generation Entrepreneur, a Passionate Educator and a Committed Mentor and Coach especially to Young Startups and Women Entrepreneurs! B.Sc., B.Sc. – Tech. from MUICT and MMS from the JBIMS, Mumbai University. Founder and CEO, The Winning Edge. 1.Initial 13 years in Navaratna Public Sector Company HPCL in all the finance departments. 2.As a first generation Entrepreneur partnered to set up the Chempro Group of Companies; a Government Recognised Export House having its presence in over 26 countries. Holds the position of Mentor and Coach for International Business Development there. ONGC, Indian Navy, BARC, Nuclear Power Corporation, Department of Atomic Energy, Jet Airways, Bombay Stock Exchange, Maharashtra state Electricity Board, KUONI India, CEAT, SIEMENS, RPG Group, Rustomji Constructions, US Vitamins, Wallace Lifestyle, ABN Amro Bank, IDBI, Aga Khan Development Network (AKDN), Women Entrepreneurs from SAARC countries (organised by Common Wealth Secretariat) etc. 4.An early promoter of Entrepreneurship and a much in demand mentor for over 20 years now; when not much was being done in this field. Was a Mentor and Faculty in the Program on Enterprise Training for Women organized by NMIMS in 1997 in collaboration with Scottish Enterprise Foundation, University of Sterling Scotland and SIDBI and in the year 2000 organised a conference on Role of Management Education in Successful Entrepreneurship for Women Entrepreneurs in JBIMS attendd by the likes of Chanda Kochchar among others. During this period also mentored and taught basic finance concepts to Women Entrepreneurs of Agakhan Development Network in their native languages-Gujarati, Hindi and Marathi. 5.Visiting faculty for 22 years for full time and Executive MBA courses in Mumbai University at JBIMS, WE SCHOOL, NMIMS, ICFAI, etc. and on the selection panel of Mumbai University for these courses. 6.Initiated the entrepreneurship development on the campus of JBIMS in collaboration with NEN by setting up E-Cell in 2007 and in 2011 launching BizOrion in collaboration with World Trade Centre Mumbai-the flagship initiative for mentoring the B-Plans for Start Ups; holds the position of Chief Mentor for both these initiatives. 7.Since 2016 also visiting to teach and mentor the students at Prahlad Kakkar School of Branding and Entrepreneurship and in 2017 Indian School of Management and Entrepreneurship. Also invited on board by Chatur Ideas as a Mentor in their Entrepreneurial Development Initiatives. 8.Has served BMA in the past as a nominated member on its Ladies Wing; later got elected on its Executive Committee and now elevated as the Honourary Secretary for the current year. 9.Active association with various professional bodies like: IMCI, ISTD, IIPA, IEEMA, NACEN, CII, IMC, BCA, WTC, AIAI, Indo German Chamber of Commerce, Maharashtra State Women's Council, College of Insurance, Sri Sorabji Pochkhanwala Bankers Training College, Rotary Club of India etc. 10.Widely traveled all over the world, recognised as The Woman of the Year by The International Business woman's who is who Magazine published from USA in the year 2002. 11.Recipient of S.S. Nadkarni Financial Management Research Fellowship from Mumbai University during 1997-2000, and published research papers on Euro Management and Evaluation of Intellectual Capital. Published a book on parenting titled Can Mom's Take a Chill Pill during the year 2009. It became one among the top ten selling books at Oxford Book Store at Churchgate where its launch was covered by all the major dailies such as TIMES, MIRROR, DNA, AFTERNOON, MAHARASHTRA TIMES etc. It was subsequently also launched at Delhi & at Ahmedabad by Ahmedabad Management Association. The book has sold out the reprint of another 3000 copies after first 2000 copies were sold out in four months. A lover of every art form and reading, exploring the museums, watching dramatics, movies and dance and listening to music and cooking for her family and friends during leisure are her favourite recreational activities. Ms. Jain’s practice emphasizes the litigation that pertains to business/ corporates as well as law revolving around corporate and criminal law, interestingly enough - an unlikely combination that fits Ms. Jain’s style. Ms. Jain has represented clients which include local business, companies, individuals and has been conducting cases which includes appearing personally and assisting Senior Counsel in the Supreme Court of India, High Court of Delhi, High Court of Bombay, PMLA Court, Competition Commission of India. Ms. Jain has functioned as an advisor to many start-ups in structuring, compliances and drafting of agreements during the phase of investments and otherwise.